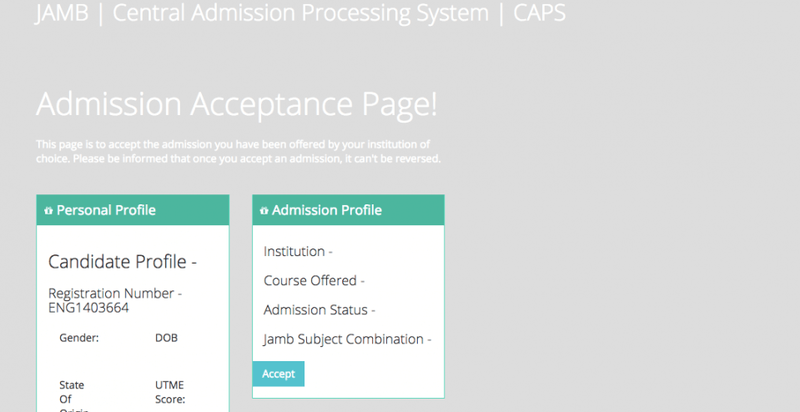 Check 2019 Admission Status on JAMB CAPS Portal – Accept/Reject Guide. This tutorial will guide you on how to check, accept and reject your admission status on CAPS portal. Stay focus and read through. 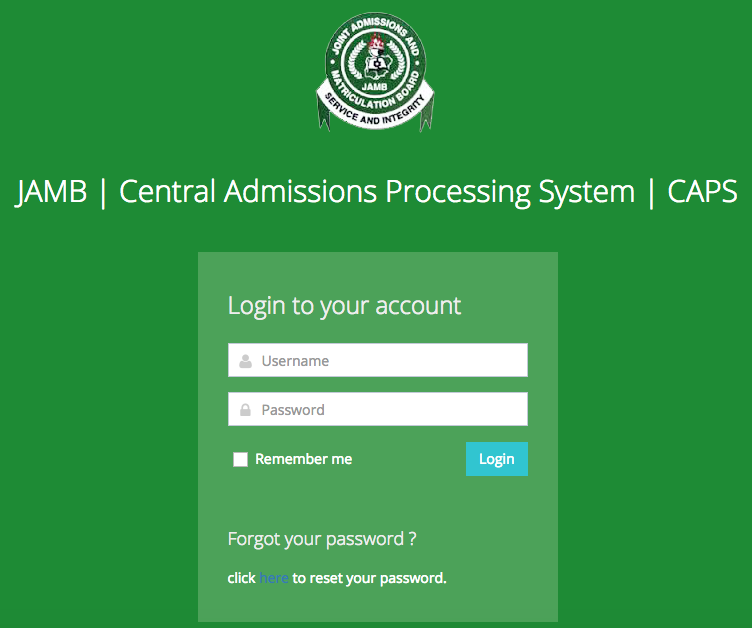 How to Check Admission Status – Full Process. 2. Open your favourite browser but I will advice you not to use Opera Mini. 8. If you are given admission and you like the school then click on accept admission. N/B: If you see not admitted yet in your Caps market place it means your school hasn’t started giving admission and all you have to do is close the page and keep checking back. Don’t click on the accept admission TAB. However, If you mistakenly accepted admission when you have not been offered admission by any school yet then I don’t think that would be an issue. We cherish your opinion and we look forward to it. Hence, If you have any question as regards JAMB CAPS 2019, kindly scroll down to the comment section and we will respond in no time. I believe this article was informative, if yes, don’t hesitate to share this information with your friends on Facebook, Twitter, Whatsapp and Google plus. How to Create a Profile on JAMB Caps 2018 to Accept and Reject Admissions. Mine is always showing welcome and ends there anytime I visit the caps please what do I do ? i have been admitted into lasu but i have not accept the admission on jamb caps reason because on jamb caps it is showing not admitted. what should i do? Mine is showing welcome.what could be the problem? z ust second list out? I,m sorry, I mistaking click accept I hope it wouldn’t affect my admission? Is there anything like deadline for receiving the admission? pls I have accepted one school admission but now I want to reject it and wait for other school I had apply to, pls what can I do now? After accepting admission on CAPS, it changed to ‘not admitted’. no 2017 exams year showing why? Few days ago my admission status on caps was admitted but now nothing is there. Please what is wrong? Pls I need info on unizik admission 2017/2018 status.